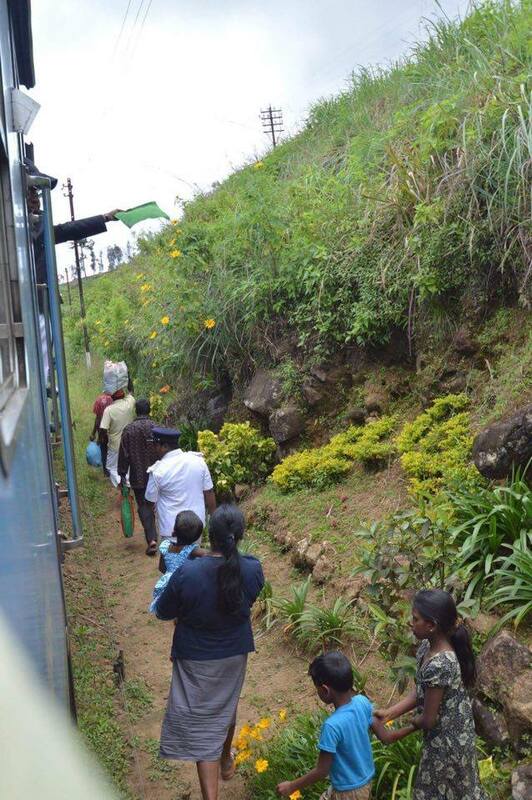 Travelling by train through Sri Lanka is something of a ‘must do’ experience. 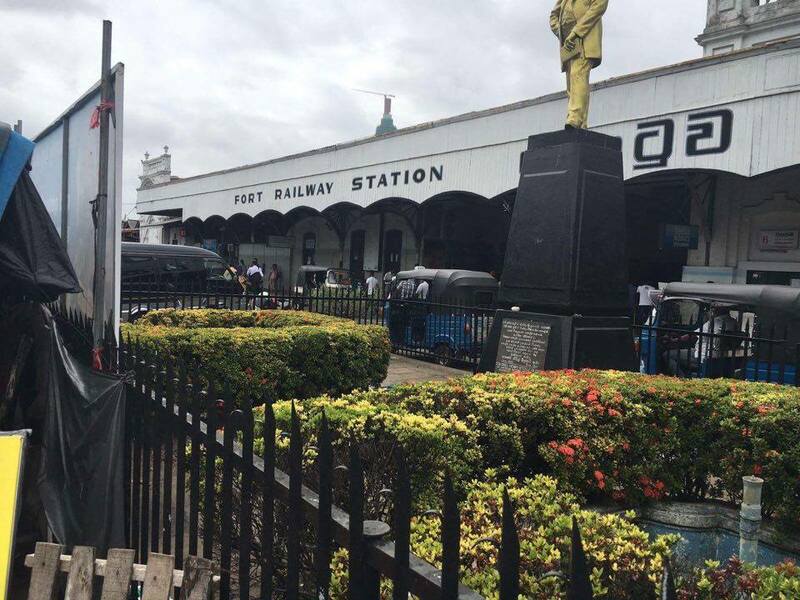 We were not disappointed when we decided to book 2 of the most scenic train journeys to experience in Sri Lanka – the Colombo Fort to Candy service and the Candy to Ella train. 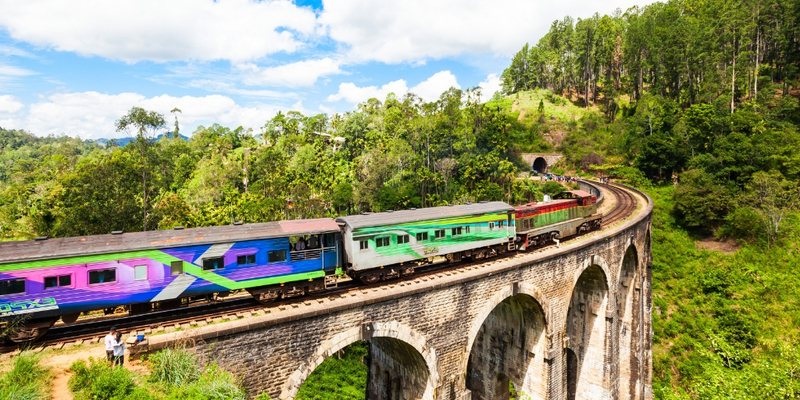 If you are wishing to purchase tickets from the UK for the Sri Lanka train journeys you need to use an agent to do so. However as we were staying with Airbnb we asked our hosts to arrange the tickets for us. 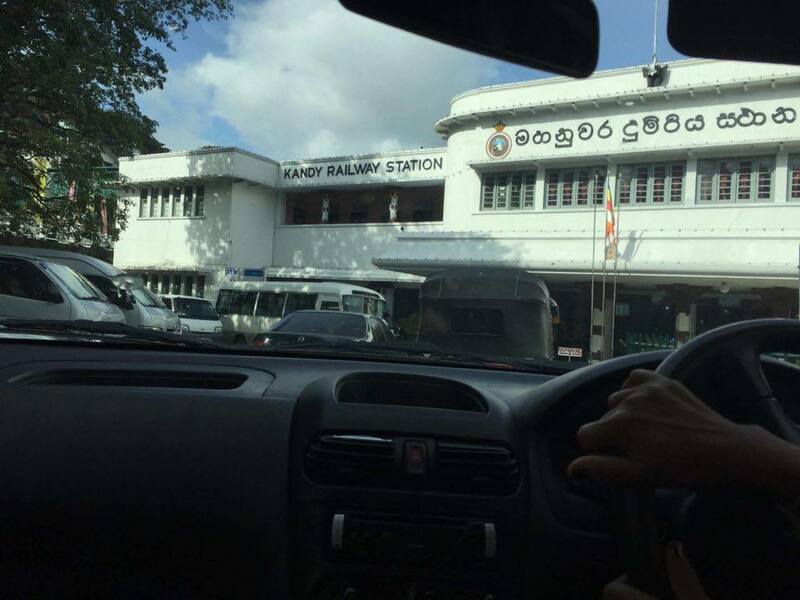 Our first train journey was from Colombo Fort to Kandy. We left the booking completely in the hands of our host and he managed to get us seats in the First Class Air Conditioned carriage. Wow, we thought, First Class for only 1000 rupees (approx. 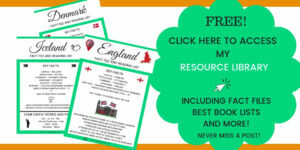 £5.00 for two tickets!!). 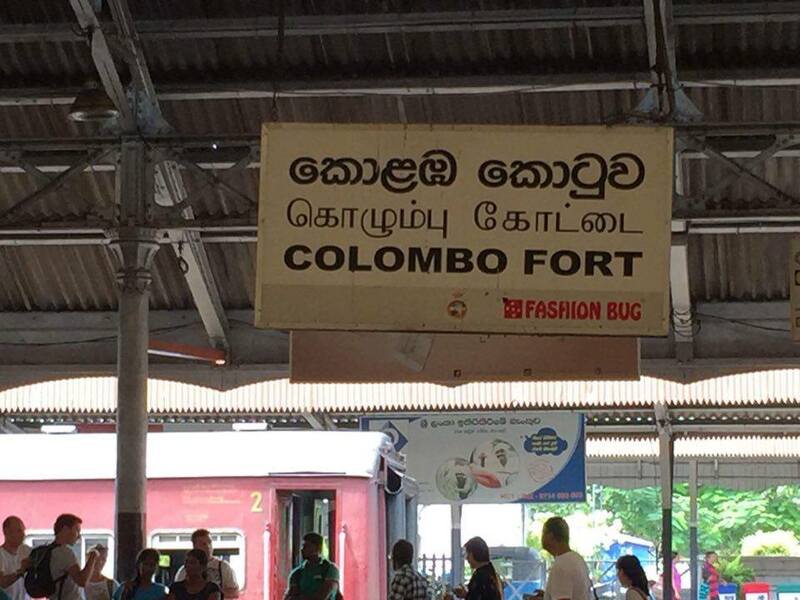 We arrived at Colombo Fort and very easily found our way to the correct platform. There are lots of Guards to point you in the right direction and were all very helpful. 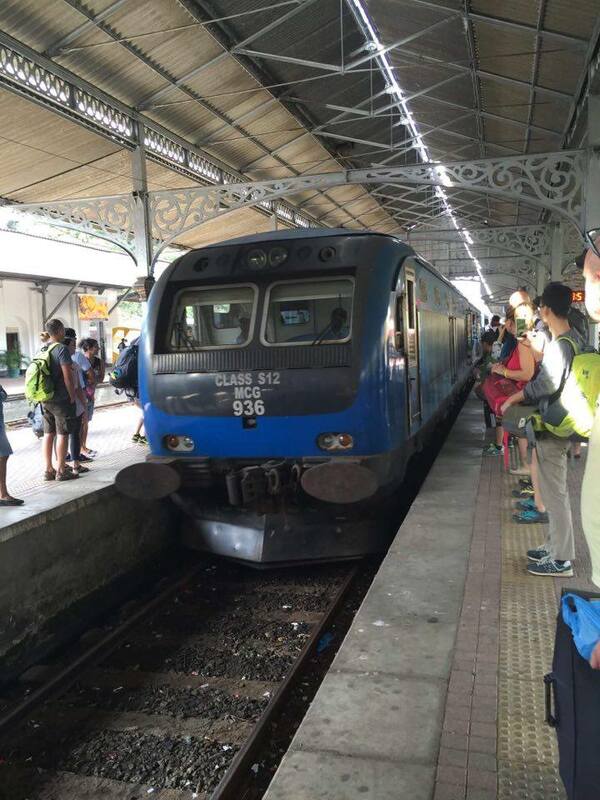 Our train was no. 1019 leaving at 10.35am. This was a modern (ish) Chinese-built blue train and we quickly found our way to our seats 21 and 22. The first class carriage is the only one where no standing is allowed, so there’s plenty of room. However, because of the air conditioning the windows are sealed, which makes it difficult to take any photos of the amazing scenery. That being said, the 4-hour journey was very comfortable and there’s always somebody walking up and down the train selling food and drink. 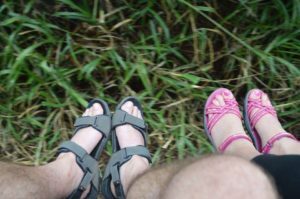 Our second journey a few days later, was the one we were most excited about – Kandy to Ella. 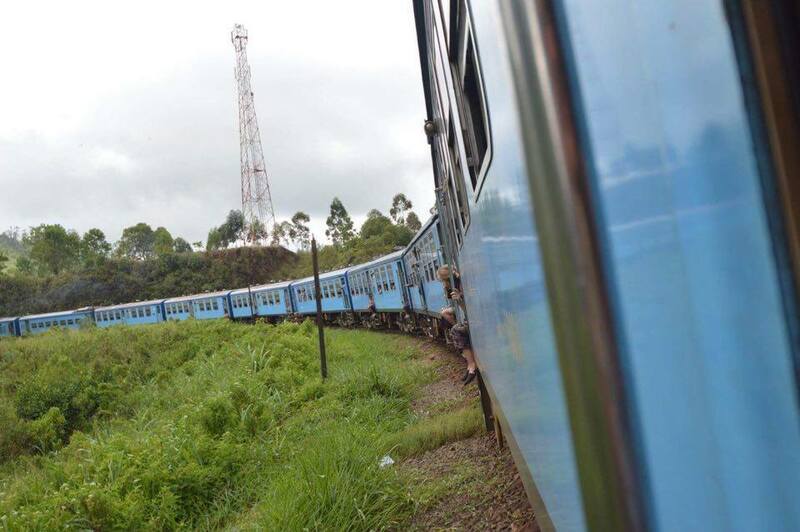 We’d read so much about this journey and how it’s widely described as ‘one of the best train journeys in the world’. It certainly didn’t disappoint!! 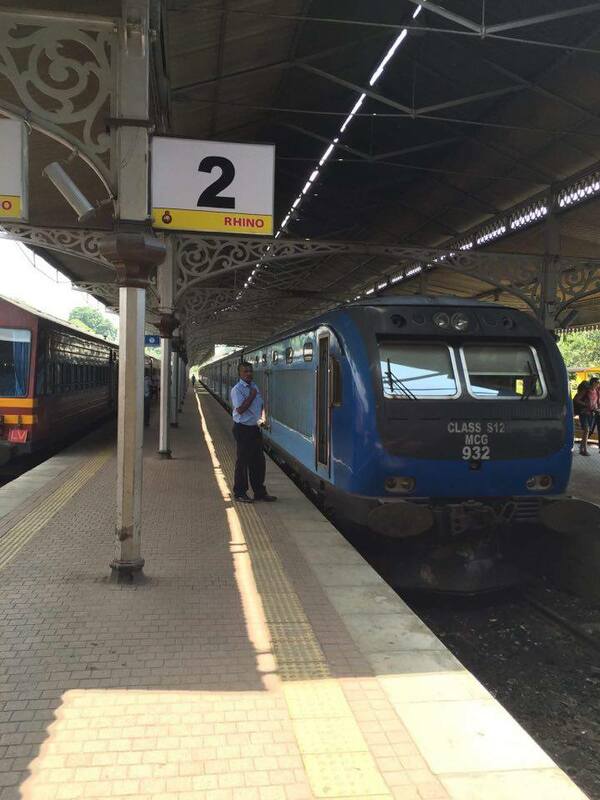 We were slightly apprehensive as our host in Kandy was only able to get us third class reserved seats. However, we needn’t have worried as this was probably the best option ever! At only 800 rupees (about £4.00 for two tickets) we joined many tourists and locals alike for the 6-hour journey to Ella. There were comfortable bench seats big enough to seat 3 people on one side of the carriage and 2 on the other side, with a table in-between. The windows were all open and ceiling fans blew a cooling breeze throughout the carriage. 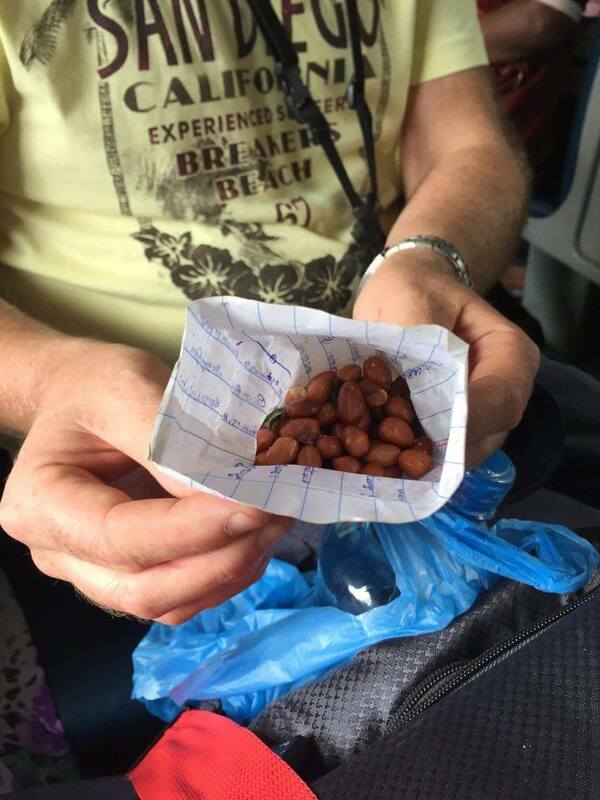 Vendors often passed through the carriages selling things like tea, water nuts and samosas and we were prepared with snacks for the long journey. The doors at the end of each carriage were wide open and passengers took it in turns to stand or sit in the open doorway. The train trundled along at what seemed like not more than 20 to 30 miles per hour and the tracks meandered their way through the countryside and slowly uphill towards Ella. It’s difficult to describe, without sounding ‘cheesy’ but every twist and turn revealed one amazing view after another (keep your camera handy!) 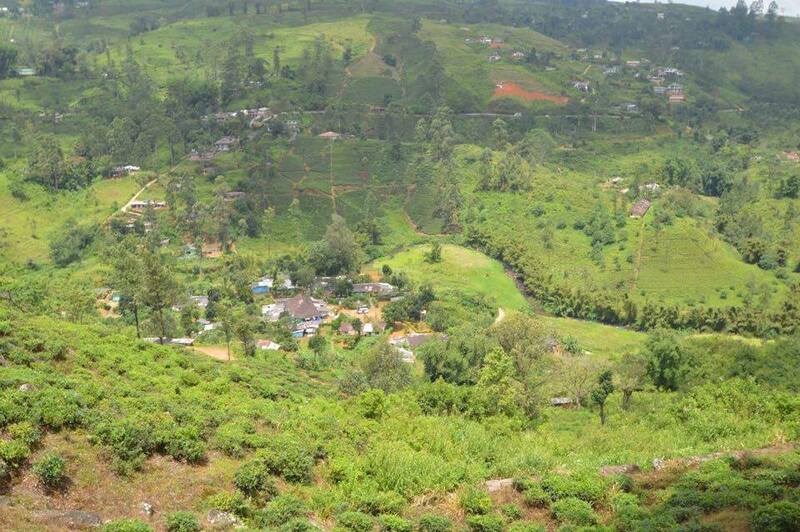 from tea plantations to waterfalls and tree covered mountainsides shrouded in cloud. The stations we passed through were well sign-posted and we were able to keep track of where we were using the map in our Marco Polo guidebook. 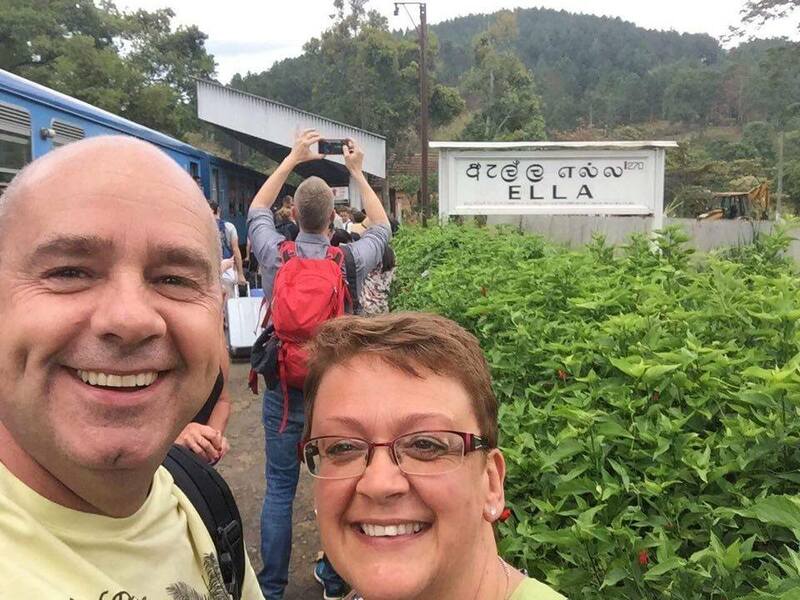 When we pulled into the station at Ella it became clear that it was a major stopping point as everyone seemed to get off and there was quite a queue to get out of the station. All in all, we had an amazing time travelling by train and can thoroughly recommend it. Nowhere near as daunting as we thought it was going to be. 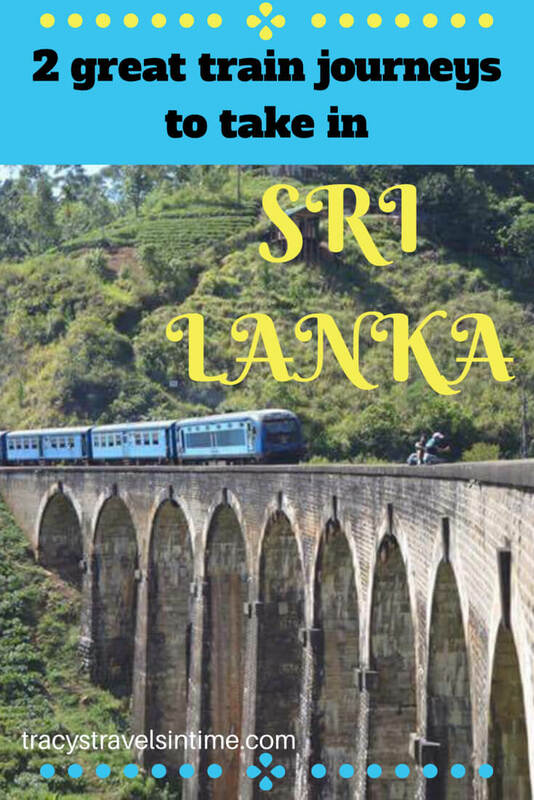 We highly recommend these train trips to experience in Sri Lanka so if you have the time book your tickets! 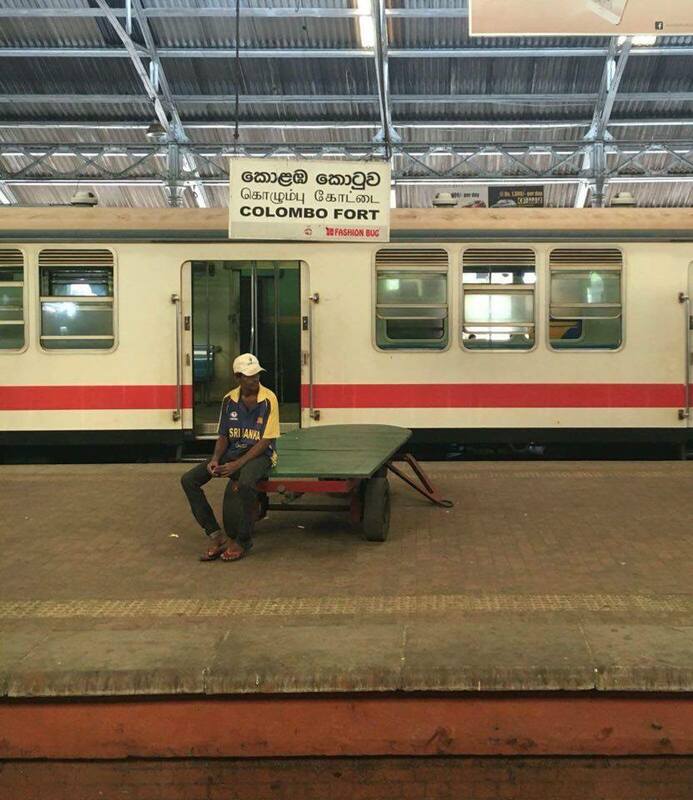 TOP TIP – If you are planning to book any of these great Sri Lanka train journeys check out the best resource there is for train travel – “The Man at Seat 61”. He has up-to-date information about organising train travel around the globe. or like us is it something you are now adding to your ‘to do’ in Sri Lanka list? This looks like an experience of a life time. From what I understand, it’s better to choose the cheapest tickets since the windows and the doors are open, letting you take pictures – is that right? Hi Jurga, yes our 3rd class tickets let us experience travel like many of the locals whereas in first class we felt trapped! Yes it was comfortable but the ability to sit in the doorway and dangle your legs out and see the fantastic scenery was something I’ll remember forever ? What a result getting 1st class, and strewth, how cheap were those tickets??!! So glad that 3rd class wasn’t a disappointment and you were able to enjoy the cooling experience. 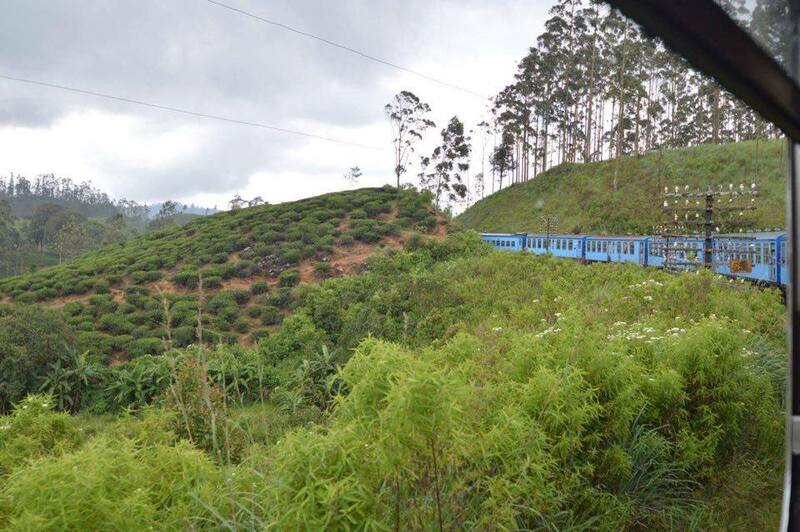 Train journeys are relaxing when they are comfortable, it’s wonderful to look out of the window and enjoy the scenic views, especially the lush tea plantations. Thanks for sharing this information. It looks like a fabulous trip. I am interested in doing a lot more travel by train I just have to get hubby to agree to come along with me! How awesome is this! It pretty brave for letting basically strangers to organize your tickets, but it sounds like it worked out well! I would love to do that second train journey as it seems the scenery really was magnificent! Ahh maybe one day:) I have pinned it for the future! 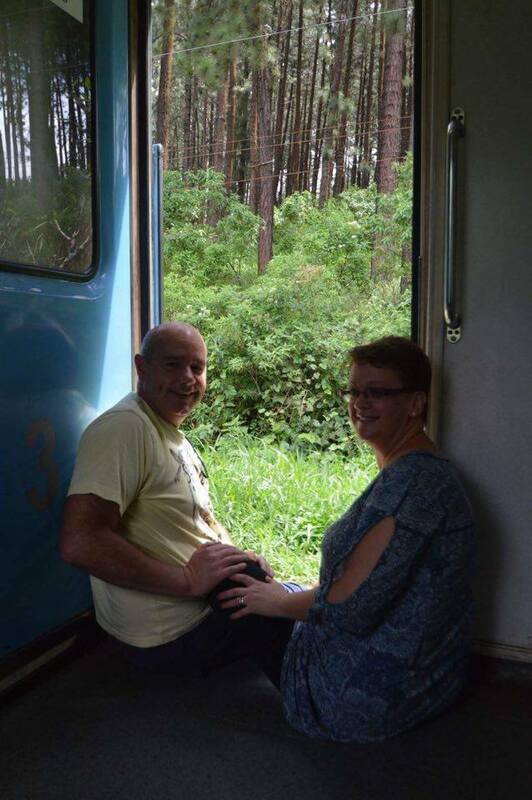 Train really seems to be a great way to get about Sri Lanka, especially with the open doors like that. Splendid views of the countryside and the train looked far more modern than I was expecting. Looks like you had a lot of fun! That countryside is beautiful! Sounds like you had quite an adventure. Love traveling by train even if it isn’t ‘luxury”. Good for you for trying this! Thanks everyone! 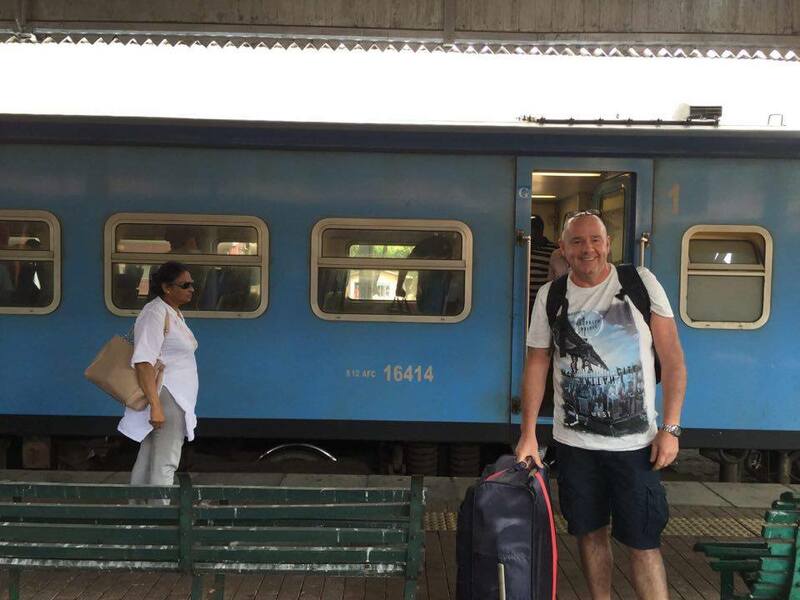 Travelling by train in Sri Lanka really was easy and cheap!!! 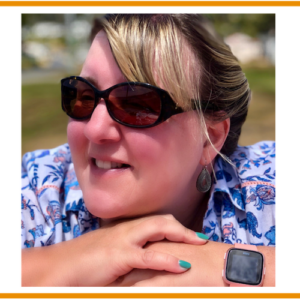 Come back to Tracy’s blog next week for my post on our accommodation through Airbnb ? I love this! 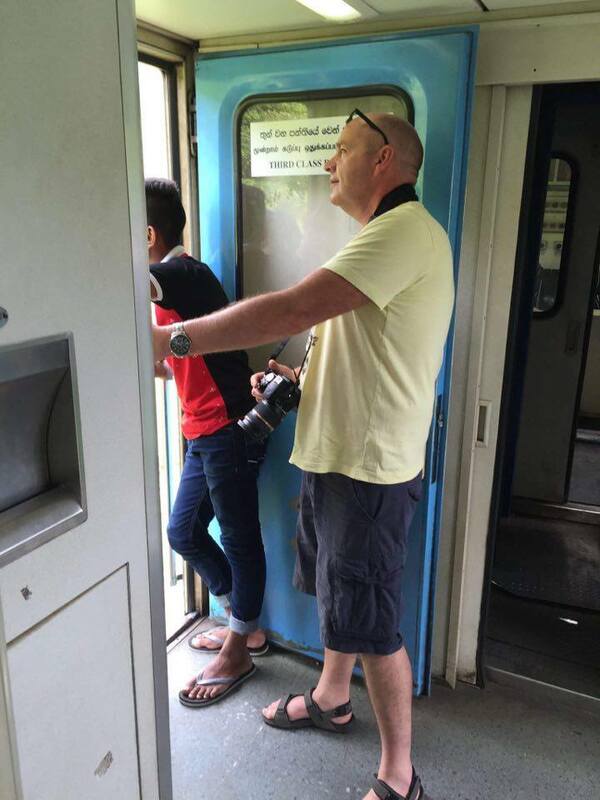 Great to see pictures how it is to travel with the train. I would have had my doubts but it seams to be safe enough. A great way to travel. My last visit to Sri Lanka was about 30 years ago! Hi Marcelle, we were complete novices at travelling and we never once felt unsafe anywhere in Sri Lanka. Just go for it and enjoy the experience- we certainly did!! 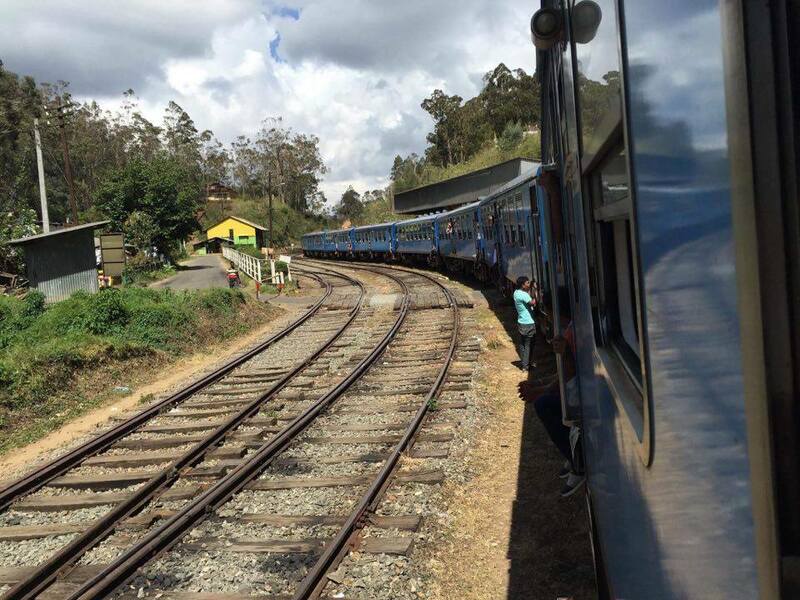 Great post, looks like you had a real adventure by rail in Sri Lanka! 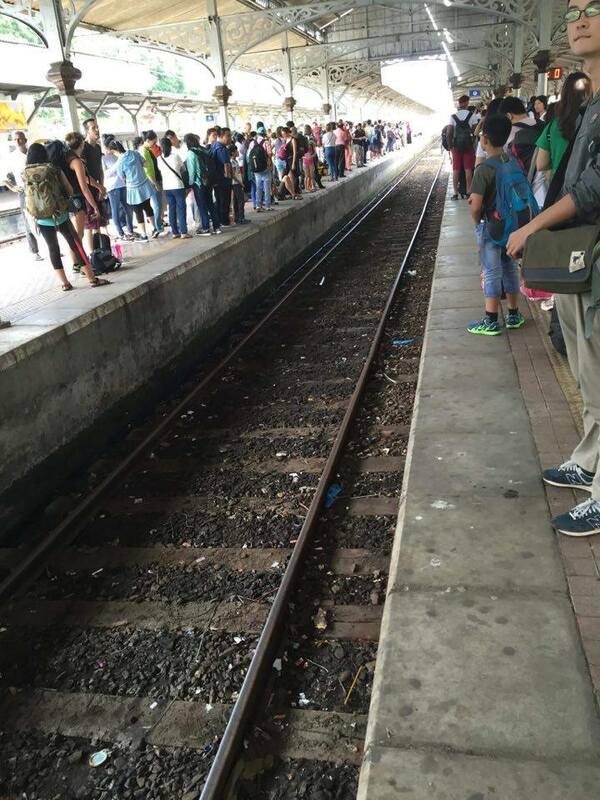 We had fun in China last year on their overnight trains, so can appreciate a little how you felt! Hi Garth we’ve got a lot to learn but it’s given us an appetite to travel independently. China sounds lovely. My husband worked in Shanghai for a short while and he’d love to go back and show me the sights. It’s on my bucket list!!! 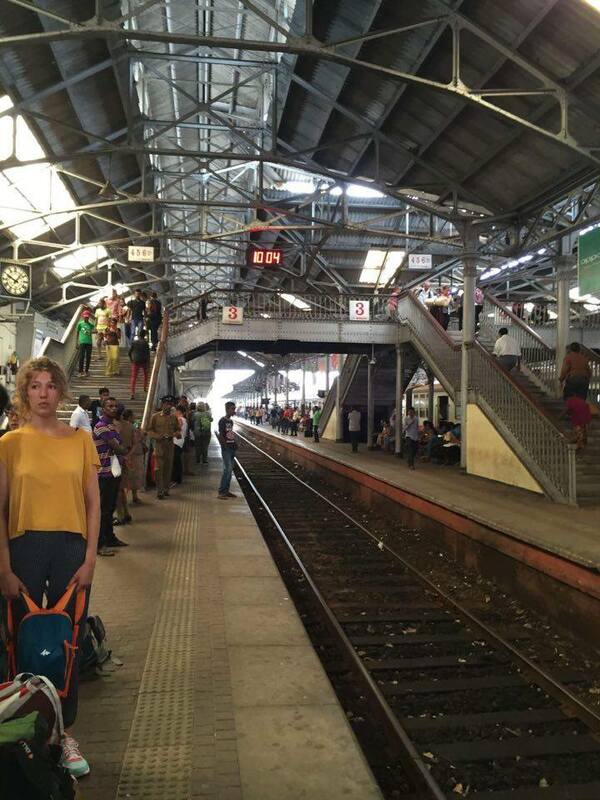 Thanks Claire, train travel in Sri Lanka is certainly a bargain! We couldn’t believe how cheap it was and the scenery is amazing too! Another post due tomorrow on Tracy’s Travels in Time on our Airbnb accommodation in Sri Lanka. Don’t forget to come back and look! Ooo – this post has left me so excited. 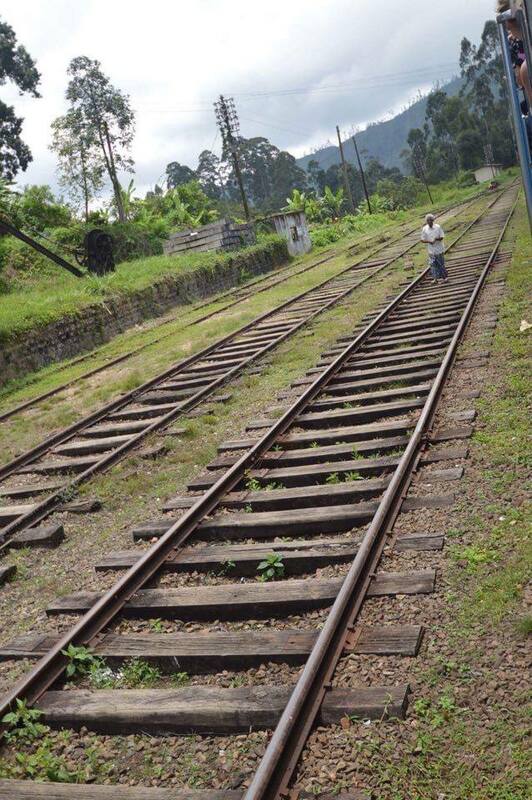 Sri Lanka is my next travel destination and I’m planning to take at least 1 train journey – the views sound incredible. I am going to go for the lower class seating as I love a more local experience. Amazing!! I love travelling by train! You get to so so much more of the country and can totally relax! What a great post! Love the pictures! Train is my absolutely favorite travel transportation. Looks like you have lots of fun in Sri Lanka! Thanks TravelBlond, travel by train certainly is a great way to see the country – love it!!! 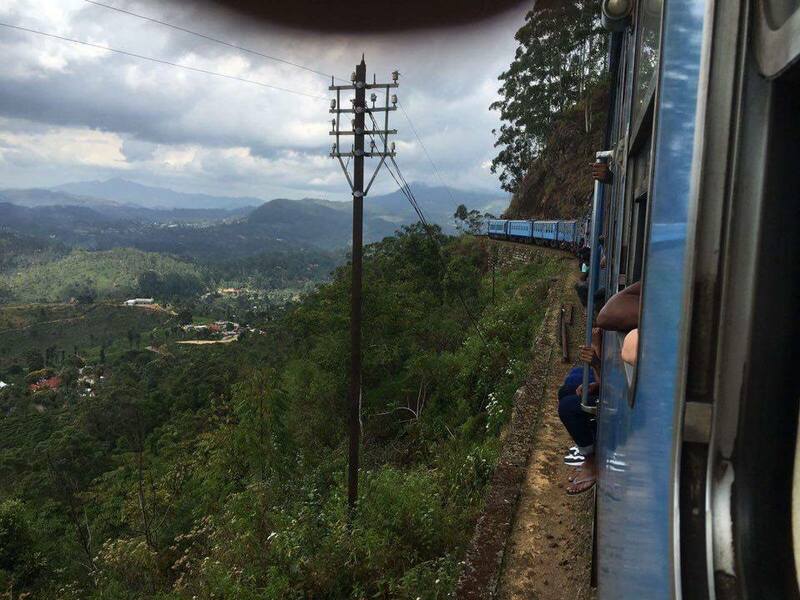 Train travel in Sri Lanka is so unique! 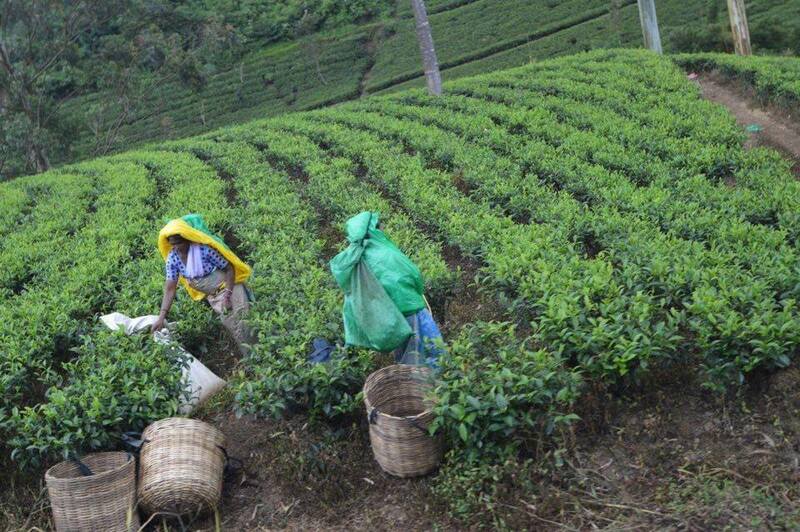 I traveled through tea country as well but at sunrise – it was absolutely spectacular watching the colours change. Loved all your photos! Thanks Flo, wow what an amazing journey that must have been to see the sunrise! Luckily only had about 5 mins of rain as we got higher up into tea country but the rest of the journey was great ?? 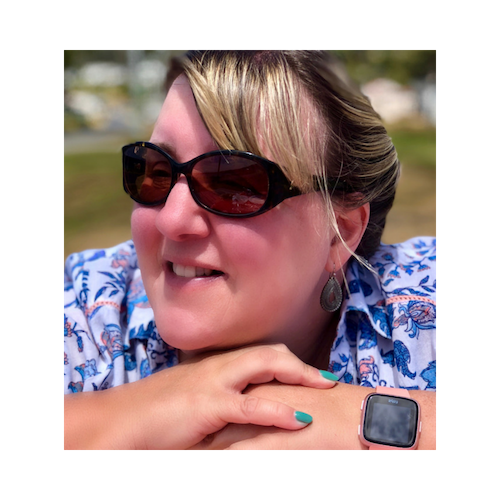 Hi Travel Lexx, you’re right – we sat next to some locals on the train who had brought their lunch with them, all wrapped up in a banana leaf and newspaper – it was great to see! Oh wow, looks like such a great way to explore Sri Lanka! I enjoy trains too; going up and down the west coast through Amtrak is so beautiful! Thanks for joining #FlyAwayFriday, see you next week! This is amazing!! 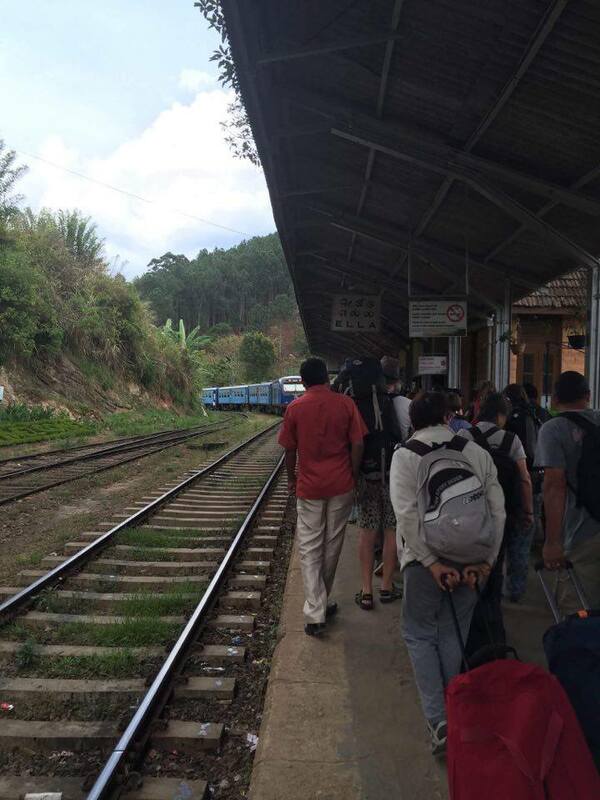 I’ve heard so many good things about the trips you can take by train in Sri Lanka and wnat to experience it so bad! 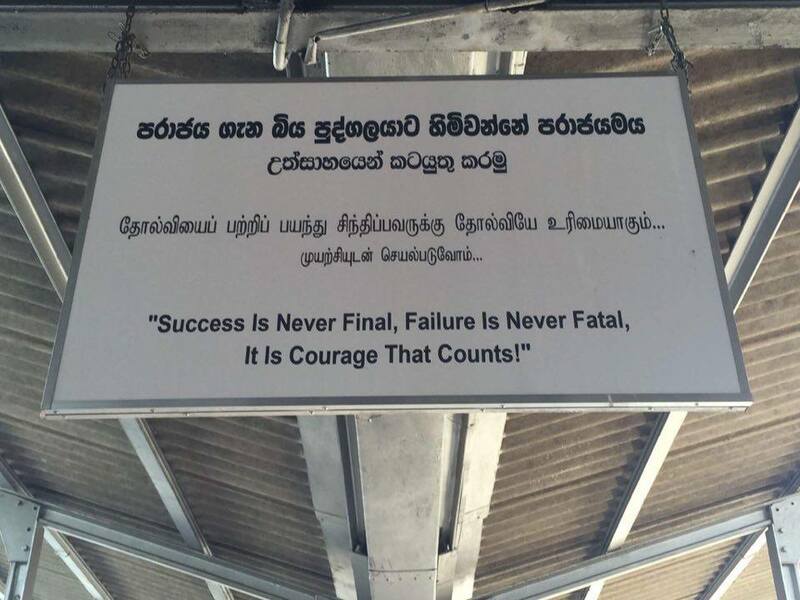 I’ll have to keep this in mind whenever I make it to Sri Lank!! !